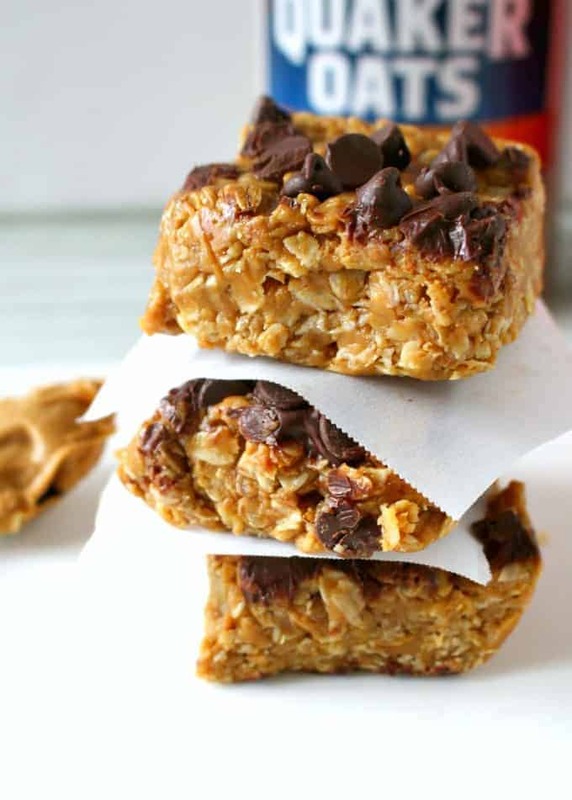 These No Bake Peanut Butter Oatmeal Bars are the perfect quick breakfast or afternoon snack. Healthy and delicious! 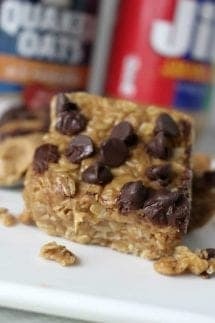 I am obsessed with our No Bake Peanut Butter Oatmeal Bars! They are the perfect grab and go snack when I am running to the school carpool line and need something quick to eat to get me through until dinner! I like to say these are a “healthier” snack option. They still have some calories, but it is a better option than many of the alternatives out there. You just need to portion them properly! 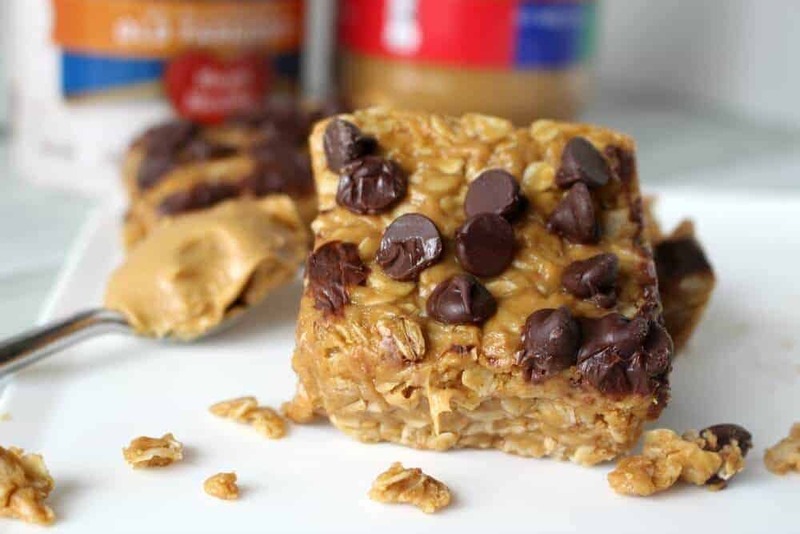 That’s why these No Bake Peanut Butter Oatmeal Bars were perfect for me – they are SO easy to make! You only need 5 ingredients and a few minutes together whip this healthy treat that you family will love! 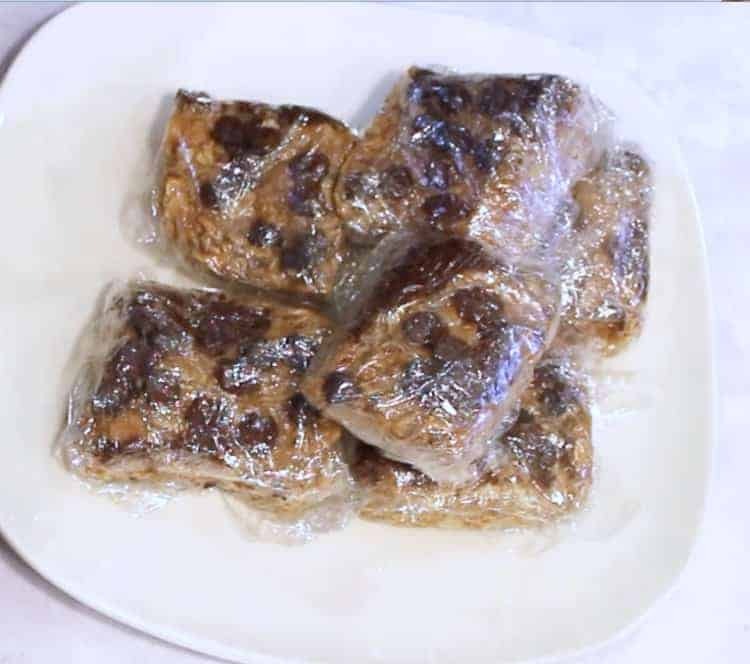 What’s really great is that you can cut them up and wrap them in plastic wrap and keep them in the freezer for a ready to throw in the lunchbox treat! So if you watch the video below, you will see I only cut the bars them into 9 bars. When I make them for my family, I usually cut them MUCH smaller. I typically get between 15-20 smaller bites. What I like to do is after I cut them, I will wrap them individually in plastic wrap and put them in the freezer. When you are ready to eat one, you can take it out a few minutes before you are ready to eat it and let it soften on the counter or eat it right from the freezer. I actually love them straight from the freezer! I will also grab on and throw it in my handbag and eat it while I am waiting in a carpool line – which is basically always!! They are also great for a grab and go after school snack or even a quick on-the-run breakfast! Your family will love this healthy snack! Love chocolate and peanut butter? Try our Peanut Butter Blossom Cookies for a not so healthy treat! In a medium saucepan, mix peanut butter and honey over medium heat until melted (stir constantly). Remove from heat. While hot, mix in oatmeal until all ingredients are combined. Pour into well greased 8x8 baking dish and distribute evenly. 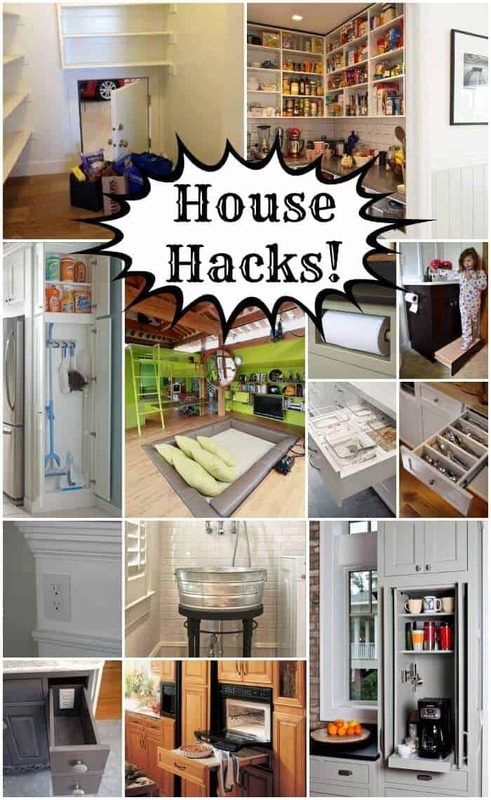 Place in refrigerator until it firms up. I love to cut these up into small squares and wrap them individually in plastic wrap and freeze them. That way, they become a quick grab and go snack and it is great for portion control! 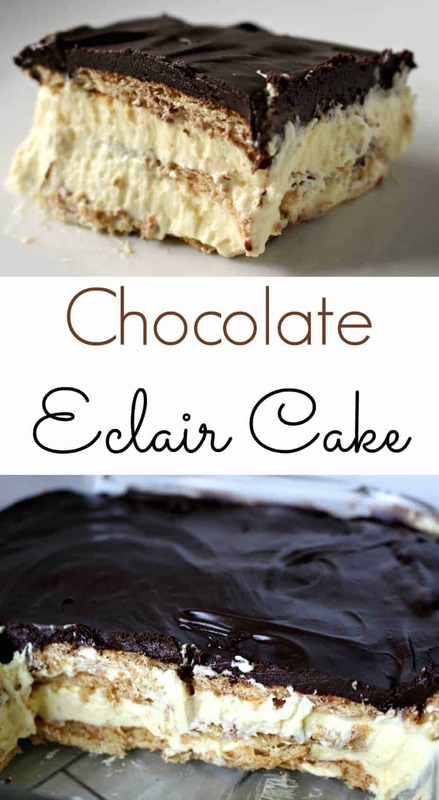 No Bake Chocolate Eclair Cake – this is a really easy and quick dessert to make! Light and creamy – you will love it! 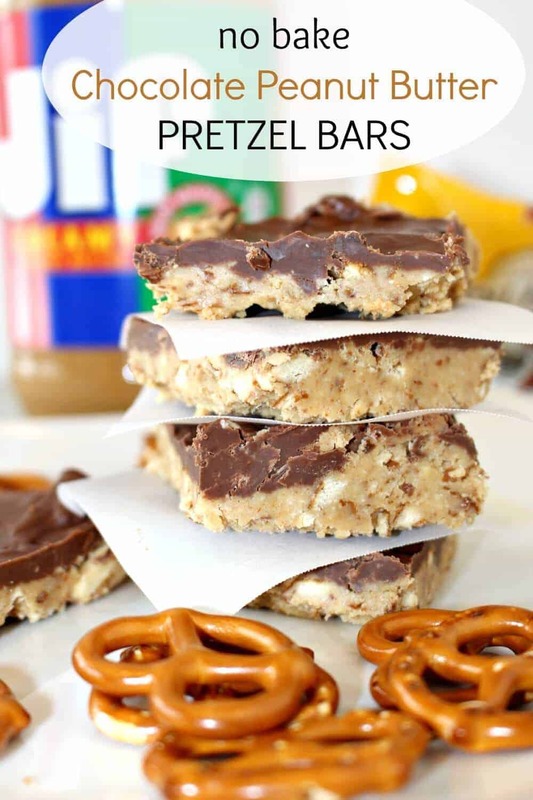 No Bake Chocolate Peanut Butter Pretzel Bars – Sweet and Salty treats are my jam!! 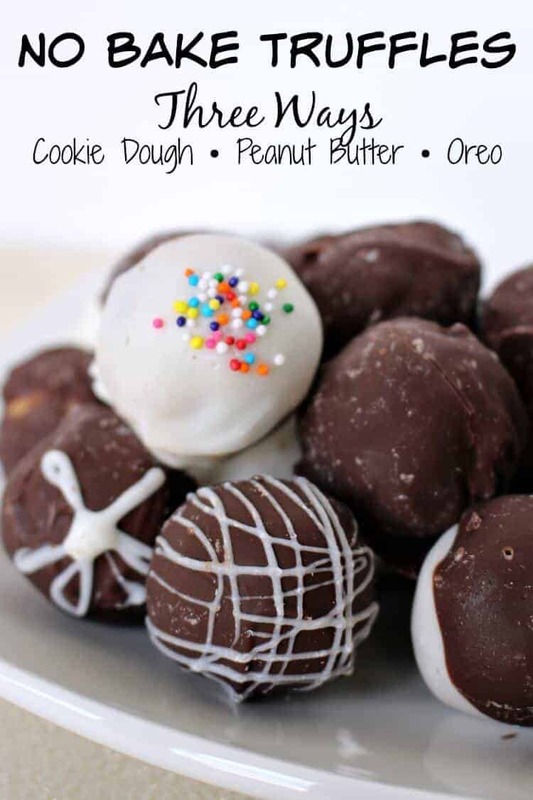 No Bake Truffles – Cookie Dough, Peanut Butter and Oreo! If you haven’t ever made truffles, you must try these! 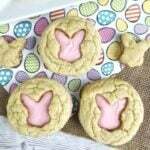 They are so easy and beyond delicious! Woaaa counted the calories on this, and if you make 9 bars with one recipe like in the video, that’s over 590 calories per bar ! it’s insane, it’s way more than what I get for a single meal. Hi Julie – That would be a whole lot of calories, but that would also be a ginormous bar! I don’t think I could eat one that big! I honestly cut them way smaller and use them as a quick snack. I love to wrap them up and freeze them and grab them on my way out the door, or if I need something quick between meals. The bars I make are probably about 200 calories still, but a small one is all I need for breakfast. However, in your video you cut them into 9 bars and they don’t look ginormous. Do you cut them in half after cutting them into the 9 bars? I cut them really small and wrap them up and freeze them. I probably get more like 18 in real life! Is it vanilla extract? It just says vanilla. You said five ingredients, but in the text directions, you only added four. You forgot to say when to add the chocolate chips! OMgoodness! You are correct! Just fixed it!! Thanks for catching that and letting me know, Marie Anne! We are going to try a mini batch with Wow Butter! Will you let me know how they turn out? I use wow butter in all of my recipes and it works just as good in this one! I just bought my 1st container of Wow Butter. My daughter has a peanut/treenut allergy so I always gave her cookie butter, which has zero nutritional value!! Found this so thought I’d try it. Did it turn out for you? Just made these today and I love them! Perfect for a quick snack at work. My son has peanut allergy so I used Wild Friends almond butter and they turned out great. Cut the pan of bars 5×5 and one bar was satisfying. Thank you for sharing an easy recipe that works, tastes great, and is easy to clean up! I just made a batch with 1 1/2 cups peanut butter and a 1/2 cup nutella. fingers crossed! Thank you so much for the recipe! Do you think you could sub the honey for maple syrup? These look amazing, but we are allergic to honey. Hmmmmmm – not really sure, but worth a try!! I am allergic to honey also. My recipes say to try karo syrup instead of honey. It is thicker than maple syrup. Can you use all natural peanut butter or is it too oily for this recipe? Hi Kathleen – I have not actually tried that – but if you do, let me know if it works!!! Hi Michelle! I know how hard it is trying to figure these things out with Type 1 (I used to work for 17 years for JDRF). Unfortunately I do not have the calculations! 🙁 So sorry!! You might try a recipe analyzer for you potential recipes. https://www.verywellfit.com/recipe-nutrition-analyzer-4157076 says that if you make this recipe, and cut it into 25 pieces (that’s 5×5 in your square pan), you would have 247 Calories, 29.1g Total Carbs, of which 14.5g is sugar, and 3.2g is Fiber. It produces a label just like you see on products in the store, so it’s easy to read and understand. Just thought I’d share and hopefully make your life a little easier, in case you haven’t found it yet. I just made these and used organic peanut butter and did not get the results I expected. Instead of reaching the melting point and staying there it went back into pasty peanut butter state, which does not mix well with the oats. My assumption is that non-organic has some other type of oil in the ingredients while organic is just peanuts and sea salt. I ended up adding coconut oil and melting the chocolate chips into the PB then I added the oats. It mixed a little easier this way and formed pretty well in the pan. I haven’t tried them yet, but I am ready to chow down. So I just googled a calorie and nutrition calculator. You put in all the ingredients and it calculates it all out. These are high in calories, sugar and fat, but you can adjust the ingredients a bit. I’m going to try these for my son and husband. I want to see if I can try a few different things. I am adding sunflower seeds, cranraisins, flaxseed. Chopped peanuts too. I love all the textures. I was wondering if you’ve tried adding hemp seeds or chia? If so did you adjust the oats at all? Also have you used anything other than honey? I assume you’re using it as the binding agent and the sweetener here. I tried them with PB2 and they didn’t come out great. Would love to know how it works for you! 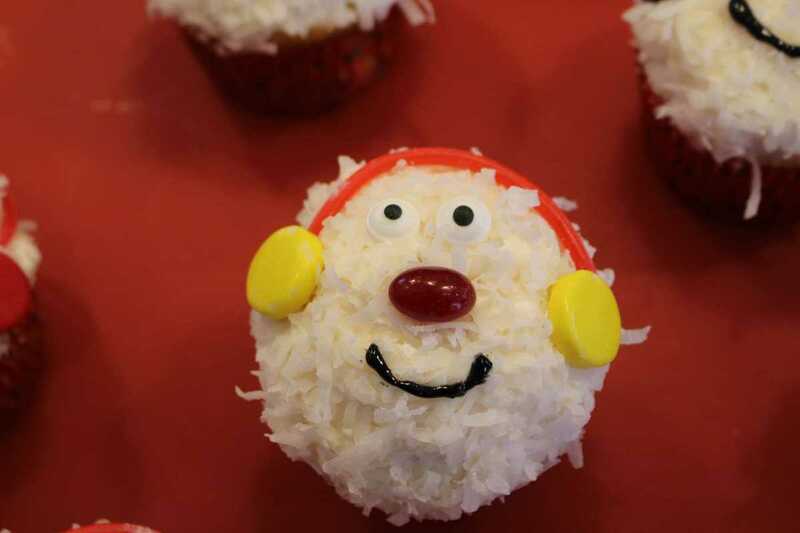 I made these to take on our canping trip this past weekend I did change the recipe a little buy they were so yummy. My family felt they were a little to sweet so next time I will cut back on it. I also cut the oats to 11/2C and added 11/2C rice crispies and used both semi sweet and milk chocolate chips. Thanks for sharing all your awesome recipes I can’t wait to try more of them.